It’s that time of year again. The TV adverts that started a month ago should have been a warning. Below is my Christmas gift list for 2019. It is not a comprehensive list of the best menswear gifts right now. It’s certainly not related in any way to sponsors, promotion or advertising. Rather, it is a highly personal, idiosyncratic list of things I’d like to get for Christmas. If I didn’t already own them. Marquetry is a craft I’ve always admired, but never managed to cover. The natural textures of woods have a deep appeal, as does the artistry of putting them together, and the result is something with a very subtle beauty. 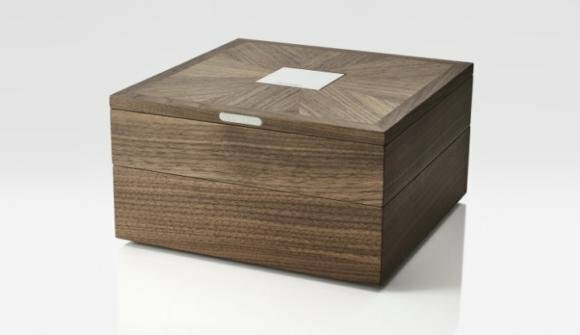 Everyone needs a box to put cufflinks, collar bones and other jewellery in. They probably already have one. But if it’s not that luxurious, they could upgrade. The Perfumer H shop on Crawford Street is one of my favourite retail spaces in London. It’s the kind of quiet, sheltered space where you feel you could spend an entire day sampling fragrance, and it’s nice that the lab is on site. Lyn’s versions of Leather or Patchouli manage to be softer and more sophisticated versions of anything else in the category, while Ink is surprisingly distinctive. I wear Charcoal. Perfume is a very personal thing to give as a gift, but samples are always available. Nothing wrong with getting interesting basics - like socks - for someone at Christmas. 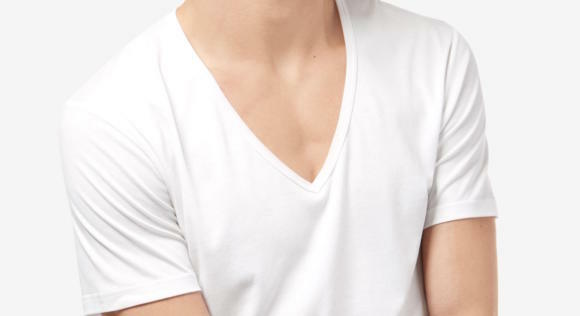 Sunspel is usually my starting point for such wardrobe staples, and I recently picked up a deep V-neck T-shirt and a vest, both for specific purposes. The deep V is to wear under polo-collar sweatshirts such as those from John Smedley or Luca Faloni (even our old Dartmoor - which should hopefully be coming back next year). 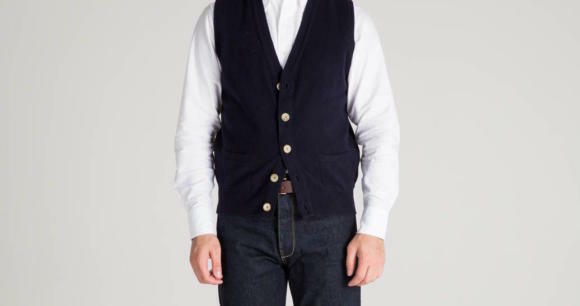 The vest is to wear under heavier shirts such as my Bryceland’s Sawtooth, or Niche denim shirt. Few people are buff enough to wear either piece as anything but underwear - and I’m not one of them. They do come up a little large though; I bought Small. I don’t smoke and I don’t really need a lighter. 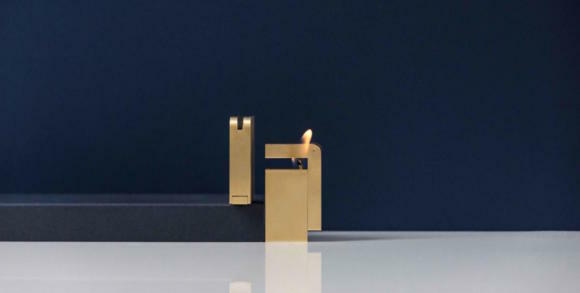 But the design of this solid-brass lighter really appealed. It’s simple, functional and unusual, and if I only ever use it to light candles, I’ll be happy. The flip-out mechanism isn’t the easiest to work the first time, but once you’re used to holding the body while working the flint, it’s very satisfying. 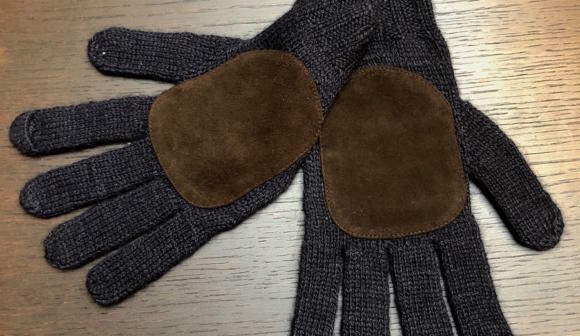 These aren’t on the website currently, but they’re my favourite gloves from A&S. The main body is a mix of musk ox, merino and silk, which feels like cashmere but is a little more robust. The palm is suede, which feels lovely, is a subtle look, and again helps make them more able to handle carrying bags etc. They come in navy and grey, and there are also nice short scarves in the musk ox (brand name: Qiviuk, £295) that are loosely woven to give them a pleasing stretch. Three great books I’ve read recently on style and the clothing industry - yet perhaps unusual enough that the man in your life hasn’t already read them. Michael Gross started to write Genuine Authentic as the official bio of Ralph Lauren, until he was chucked off the job. Fortunately he’d had a lot of access by then. Ametora is the story of how Japan created its own clothing industry from scratch after the Second World War, beginning by copying the Americans, then superseding them, and writing a lot of ‘how to’ magazines along the way. Cheap Chic is mostly about womenswear, but has lessons for everyone - and is centred around a philosophy of good-value clothes, no matter what their price is. Practical and entertaining. Sold at Trunk among other places, Anonymous Ism is a Japanese knitter that does robust socks in some really nice patterns - somehow traditional and modern. They are quite chunky though, and I wear them with boots or just around the house. And they’re always at least partially synthetic, which again makes them hard wearing but not great if you’re feet are apt to overheat. One for guys that love their cordovan. 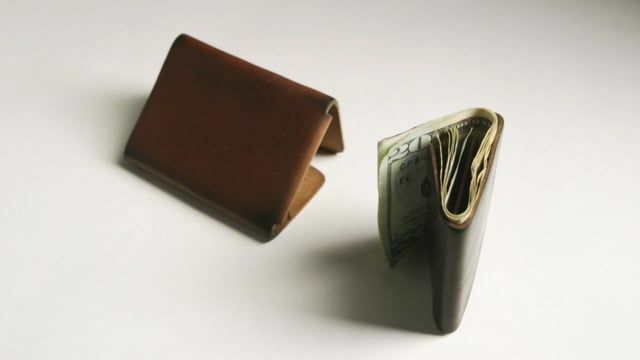 Great for shoes, it’s also very satisfying in a wallet because of the way it moulds around the contents and ages over time. It’s a simple T-shape that the user folds up, puts cards or cash inside of, and becomes that wallet shape as it moulds. Thin too, as there’s absolutely no excess leather. I find these particularly useful for a type of dressing we discussed recently: being dressed-up without wearing a jacket. Personally, I find the lambswool too thick to wear under a jacket, but the cardigan on its own is great with a pair of jeans and a button-down shirt. It’s warmer than most sleeveless cardigans, and has the texture to go well with casual things like denim. My favourites are the navy and a natural colour from last season (some left in the factory shop last time I was there). Very expensive and very indulgent - but if you have a minor-grade obsession with Hermes, as I do, this is one of the more practical things to buy. I’ve used an orange one in plain calf for the past four years for my keys. It functions very well, able to be looped through itself around a bag handle. But I think a printed calf, in not so bright colour like light-brown Epsom, would have aged better. You can follow the discussion on Christmas gift list 2018 by entering your email address in the box below. You will then receive an email every time a new comment is added. These will also contain a link to a page where you can stop the alerts, and remove all of your related data from the site. Good to know about the relative thickness of the Drake’s cardigan. Actually, most people you see wearing one with tailoring seem to leave their jackets unbuttoned, which could have been a good hint as well (..thinking to self). No problem, interested what books you’d recommend on men’s style more generally – any essentials PS readers should read? Interested in Anonymous ism. Another Japanese brand you might want to have a look at is Pristine Gents (Japanese brands, like their bands, have the oddest names). They make simple things in a lovely organic cotton. My impossible to please Dad has requested their socks and nothing else for his birthday/Christmas hereafter. I have two of these Drake’s cardigan vests and I have no trouble wearing them under a buttoned jacket. They are fantastic and versatile pieces with cool buttons and great style. Hi Simon, great gift ideas. I would add a comment to No. 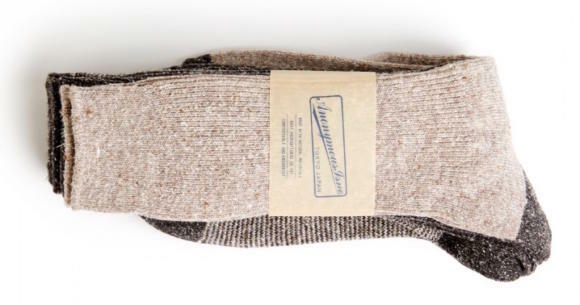 7 on the list – Anonymous Ism socks. I’m not sure if it’s because they are a Japanese brand, but I find that if you have wider feet, the socks can come up a little small to start with. If you are close to the size band, I would go up a size – although because the weave tends to be looser, they do stretch and loose shape over time. I hope that this is useful to your other readers. I think the Drakes one are made by William Lockie. The William Lockie ones are quite thin and wear well under a jacket. They are, though of course that doesn’t mean either the materials or the cut are the same. Are you saying you’ve tried both and the Lockie-branded ones are thinner? Yes. I have both. The Drakes one is definitely thicker than the Lockie one. The Lockie one also has a lovely soft handle. On sizing, comparing the two, they’re the same. The problem with the Lockie ones is the colour selection. There are only 4 colours, two of which are not very versatile. Perhaps you could do a permanent style run in more versatile colours? Just another thought, could permanent style perhaps do something where you gather a list of people and present to manufacturers as group MTO? I’m sure there are enough of us on here to make such a thing work. Looks like there are two versions. The William Lockie I have is the Geelong version. This would explain its softness. I’m guessing the Drakes version is based on the below. Hi Simon. Can I ask which size you take in the Drake’s cardigan, please? Thanks. 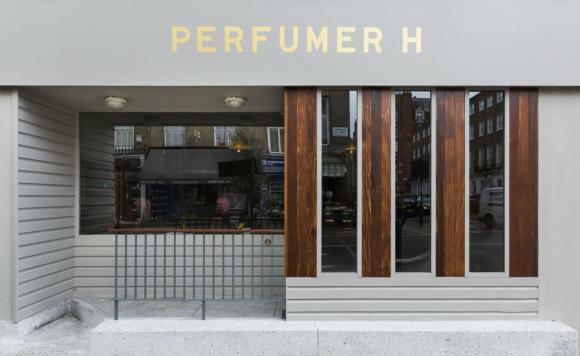 Can you buy eau de parfum from Perfumer H without the £350 bottle? My 200ml Terre has finally run out, so interested in an upgrade. Thanks – which would be the closest to Terre, if any? Just curious if your 3-5 bottle suggestion from a previous post on fragrances is still a rule you’ve stuck to or has your collection grown a touch? Nice point. It’s certainly grown, but I still try and refine it down to around that number. If you’re running out of Terre, why on earth would you want to get something similar? Either get the same thing, or go for something different!! I guess I wanted something similar but better. I went with Orange Leaf in the end, though Gold ran it close. 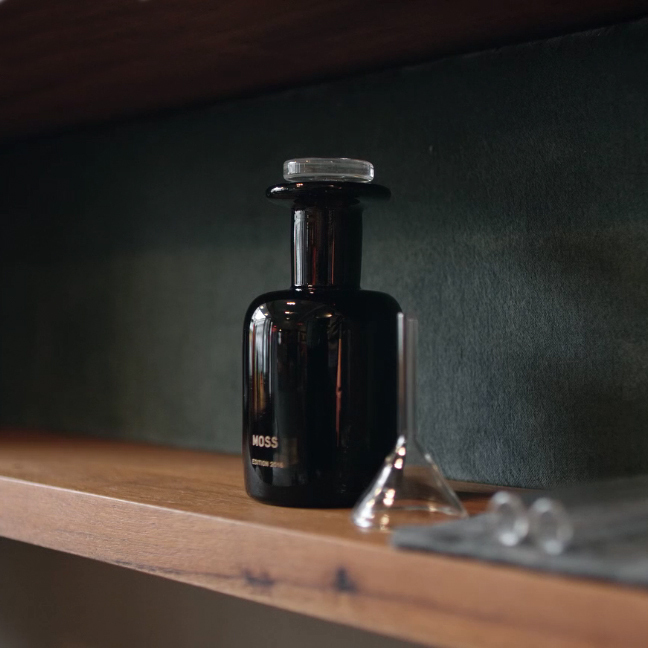 I’ve generally stuck with the one fragrance, I might be willing to consider a change there – that trip to Perfumer H was a ‘mistake’ of sorts. With all sincerity, what are collar bones? You’ve mentioned them in the trinket box section and I was curious what they were. Is it another name for collar stays, or for collar bars? I’m genuinely curious. Is there a way to contact Lyn at Perfumer H? I don’t live in the UK and would be interested in purchasing her perfumes. How exactly is this promoting good craftsmanship? 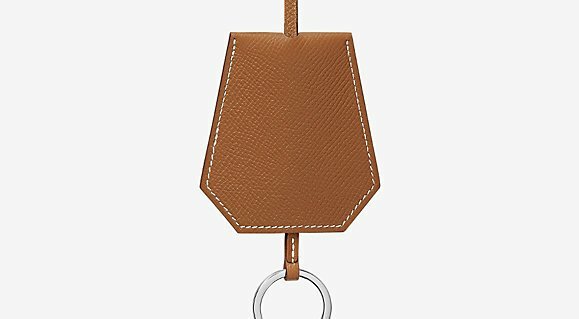 That Hermes keychain is an abominable rip-off, and the workmanship is a joke. The stitching isn’t even regular. Just one of the many ways the big houses use their brand name to squeeze every penny out of their off-cuts. As for Drake’s, I used to love their aesthetic, but they’ve decided to go full preppy (aimed, I suspect at the American market rather than the British one. Vide their social media campaigns), and the result is a slouchy mess. Everything they have produced in the last three years looks so drab. Good business sense, but a damn shame. At least they’re still just about reasonably priced. Finally, Anderson & Sheppard need to grab hold of their genius glove designer and send him back to the drawing board. Those suede palms are useless. As anyone who’s used work gloves knows, you grab things (like shopping bags) by the first joint (the proximal phalanx). That’s where the reinforcement should be. I would be happy to provide A&S with a sketch (for a fee). I suppose it’s a matter of taste, values and income, but to me many of these items also come across as a parody of ‘buy less, buy better’. Once you arrive at £500 trinket boxes and £300 lighters, I’d say it’s worth reevaluating that maxim – putting less emphasis on the second part and more on the first. Anyway: I greatly enjoy PS, but I’d love more content about the essence of style (colour, shape, history, craft, creativity, personality) and a bit less about product. Thanks, noted. I guess there is an underlying assumption with the things featured that only a small number would ever be purchased by any one person. But I agree it doesn’t always seem that way. I think also on the first point, which is interesting, I think it’s often more a matter of stage of life than anything else. Once you’ve been buying good quality clothing for a while, there are few needs of any description, and you naturally start to only acquire finer versions. I’d put the box in that camp – you definitely already have one, but this is a higher quality and artistry. And perhaps that cheaper version could be passed on. Yes definitely, stage of life is a significant factor. At least as important, I think, is that everyone has their own barometer of what constitutes extravagance. I have no problem with the idea of spending £500+ on a good pair of shoes (which some would find decadent even if they could afford it), while the idea of spending any significant sum on a trinket box makes me somewhat queasy. (I use an old shoebox, myself.) These boundaries are of course emotional, arbitrary and personal, but determining factors in one’s judgement of value. Regarding the Hermes keychain, your comment is spot on. There’s nothing in it to justify the price. As the old saying goes, nothing parts quicker than a fool and his cash. I’m all for paying artisans for their time. But the keychain is bonkers. Agreed Anon. Equus leather will make you a vastly superior leather key chain for £36. Hi Simon, on the subject of polo sweaters, would you always wear a T-shirt underneath? Would give me your, could one say dress code in wearing a sleeveless cardigan should it fully button up or not. I’d never button all the buttons, no. At the very least I’d leave one undone at the bottom. At the most I’d leave two undone at the bottom, and one at the top. It depends on the shape of the knitwear and how it’s made – sometimes there is a definite angle at the top, and leaving one undone there looks odd. Usually, with the ribbing, leaving one or two undone at the bottom creates a more flattering line through the waist. And shorter guys can often benefit from undoing more. But the overall aim is for it to look relaxed and not too buttoned up. No pun intended. Quick question on men’s fragrances: how do readers use deodorant / antiperspirant when also wanting to wear a nice fragrance? Should the matching deo be used, although it isn’t always available for many high-end fragrances, or is there a good simple “low-impact, low smelling” deo that will not interfere with the desired fragrance? Where a person places value is so very personal – and usually can’t be explained to another’s satisfaction. Whether it’s an Hermes keychain or a marquetry trinket box – it’s all good!